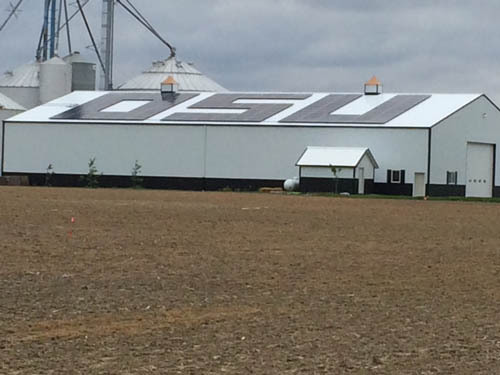 Ennis, who is from Hudson, is very proud of the OSU solar array the company developed for McBride. Jess did his graduate studies in agricultural economics at The Ohio State University; his parents met at OSU, and his son is a third generation Ennis Buckeye, now studying chemical engineering. Jess says he won't rest until every farm in Ohio is generating its own electricity with solar power.